45. What Happened at Vatican II? Vatican II (1962-1965) is widely regarded as one of the most significant events of the Twentieth century. October 11th will mark the 50th anniversary of its beginning and the “Year of Faith” that Benedict XVI is about to open officially will be a year-long opportunity to reflect on its legacy. Coming to terms with Vatican II is not a task for Roman Catholics alone. Even non Roman Catholic Christians are called to grapple with it. Their perception of present-day Roman Catholicism heavily depends on the way in which they interpret Vatican II. During and after the Council, there were three Evangelical Protestant theologians who dealt with it at length and in detail. These three approaches are perhaps indicative of different Evangelical readings of Vatican II which have in turn contributed to the shaping of three ways of relating to Rome as a whole. Gerrit Berkouwer (1903-1996) was a Dutch Reformed theologian who had a first-hand experience at Vatican II as an official observer on behalf of the “Gereformeerde Kerken”. This experience gave rise to the writing of his book The Second Vatican Council and the New Catholicism (1965) which he wrote even though the proceedings of the Council were still in progress and the two main ecclesiological documents (Lumen Gentium and Gaudium et Spes) had not yet been approved. According to Berkouwer, Vatican II is heavily indebted to the Nouvelle théologie (i.e. the new theology) which he had already surveyed in his 1958 book Recent Developments in Roman Catholic Thought. The Council might be thought of as being the cautious acceptance, even with its tensions and conflicts, by the official Church of the agenda proposed by the “new” theologians which had been opposed by the Curia in previous years. The “New Catholicism” that Berkouwer envisages is based on ressourcement, i.e. re-appreciation of biblical and patristic sources, and aggiornamento, i.e. an attitude marked by an openness towards inner renewal and new ways of relating to the world. If Berkouwer’s pre-Vatican II book Conflict with Rome (1958) centered on the gulf between Catholic and Protestant theologies concerning the doctrine of grace, his post-Vatican II New Catholicism revolves around the doctrine of the Church as the real issue still standing between them. Of course, Berkouwer is fully aware that these new emphases do not replace old ones but are simply added to the traditional Roman Catholic outlook, thus making the ecumenical agenda with Rome easier on the one hand, but more nuanced on the other. Before such a scenario, Berkouwer calls for a “realistic ecumenicity” – an ecumenicity which would overcome past polemical attitudes while awaiting further developments within Roman Catholicism. Back in the Seventies, David Wells (b. 1939) was one of the few Evangelical theologians grappling with Roman Catholicism in the aftermath of the Council. In later years, Wells’ focus has progressively turned to another field of research, namely Evangelicalism itself, and this move has left a significant gap in Evangelical reflection on Roman Catholicism. His book Revolution in Rome (1972) well epitomises an Evangelical sense of puzzlement before the aggiornamento proposed by the Council. The main thrust of his reading of the Council is the observation that Vatican II on some strategic points seems to endorse “mutually incompatible theologies”, one conservative, the other progressive; one restating tradition, the other pushing beyond tradition. These two conflicting tendencies can be found everywhere in Vatican II texts and contribute to the shaping of its overall theology marked by an unmistakably Catholic “both-and” pattern. The book testifies to the Evangelical perplexity in coming to terms with the complexity of the Catholic mindset. Before the interpretative crux of Vatican II, Wells propounds for the view that the Council depicts a temporary and transient balance which will eventually lead to the affirmation of one party over the other. In other words, “wait-and-see” what is going to happen. Meanwhile, Evangelical Protestants need to construe a “new apologetic” in their understanding of Catholicism, because the old apologetic pattern does not fit Rome any longer. In the British scene, the writings of Herbert Carson (d. 2004) well represent the less academic but strongly apologetic way of looking at Rome. His books on Catholicism (Roman Catholicism Today, 1964; Dawn or Twilight? A Study of Contemporary Roman Catholicism, 1976; The Faith of the Vatican, 1996) can be considered as a single, revised and updated work whose main interpretative thrust and theological critique remain constant even when he interacts with different phases of recent Catholic history and theology. Carson reads Vatican II in terms of the semper eadem thesis, i.e. always the same. 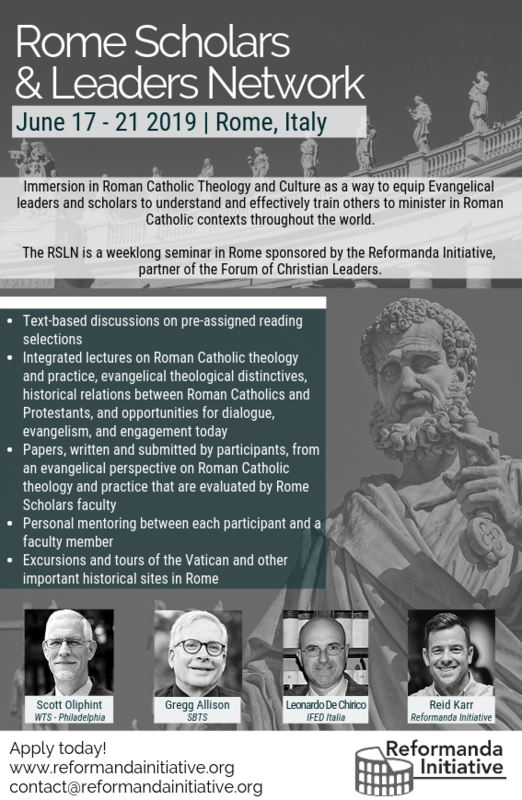 The theological structure of Rome may have changed in its linguistic covering but not in its fundamental orientation. 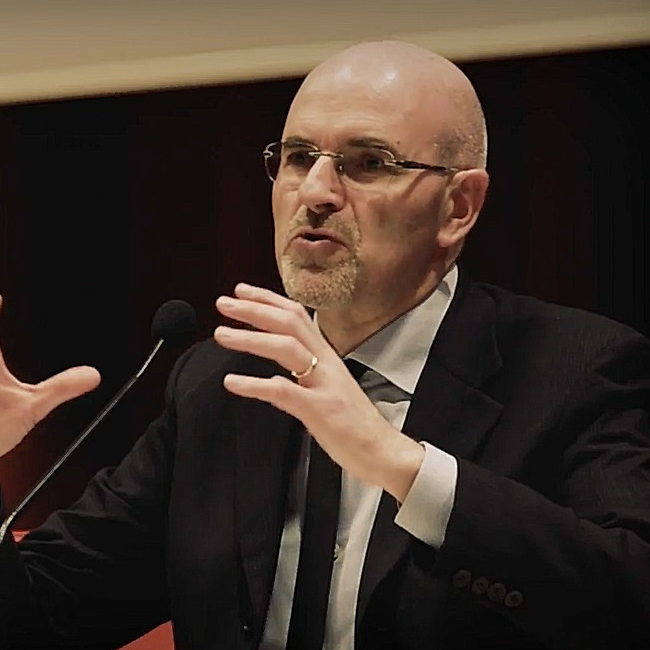 According to him, in spite of all appearance suggesting differently, Vatican II has in no way modified its Tridentine, anti-Reformation stance for the simple reasons that, firstly, it has not formally and openly abandoned it and, secondly, the new teaching can be fully harmonised with the old without subverting it. Carson observes that “the tone may be friendlier, and the presentation more acceptable to late twentieth-century readers, yet the decrees of Trent are still there”, particularly as far as transubstantiation, justification by faith and purgatory are concerned. The inevitable conclusion of such a reading is that if Rome is semper eadem, the Evangelical approach to Roman Catholicism will always be the same as well. 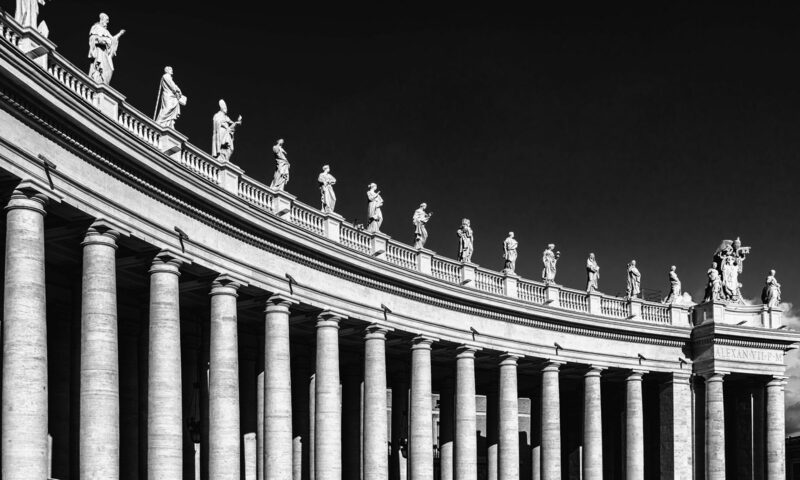 After Vatican II, Evangelical Protestants dealt with it in three different ways: Rome really changed (Berkouwer), Rome still has to decide where to stand (Wells), Rome is always the same (Carson). Subsequent Evangelical approaches to Rome depended on which reading of Vatican II was preferred. Next PostNext 45. 50 aniversario del Vaticano II: ¿qué pasó?